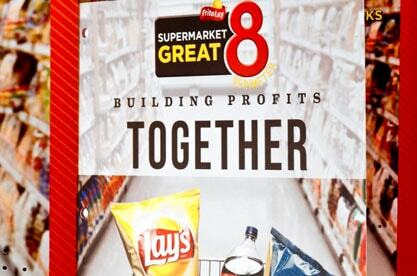 Frito Lay wanted to create a sales-aid to present to merchandising managers at national retail chains that showcased their full line of in-store marketing solutions. However, the fact that each display is targeted for a different location within a supermarket posed a challenge. 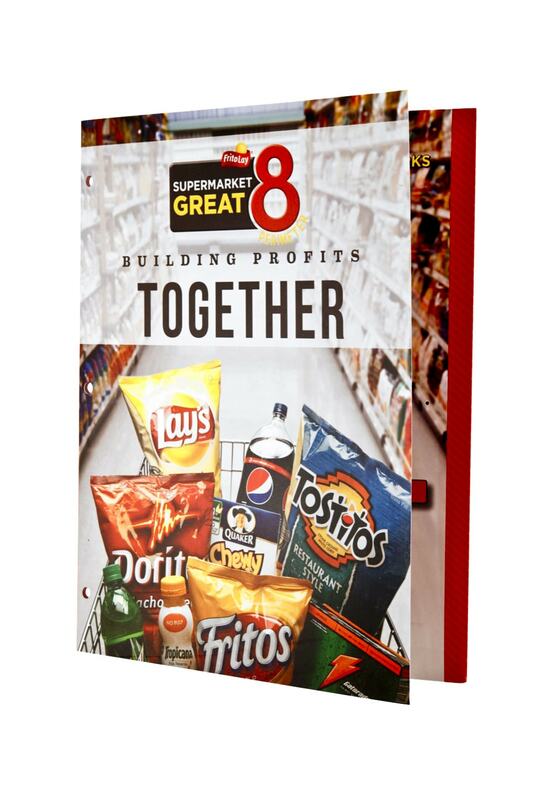 Frito Lay needed a single printed piece to address a number of concerns throughout several areas of the store. What is a more compelling and convincing way to showcase the full line of Frito Lay merchandise displays to busy supermarket executives? In this case, the Americhip Video in Print with navigation worked perfectly. 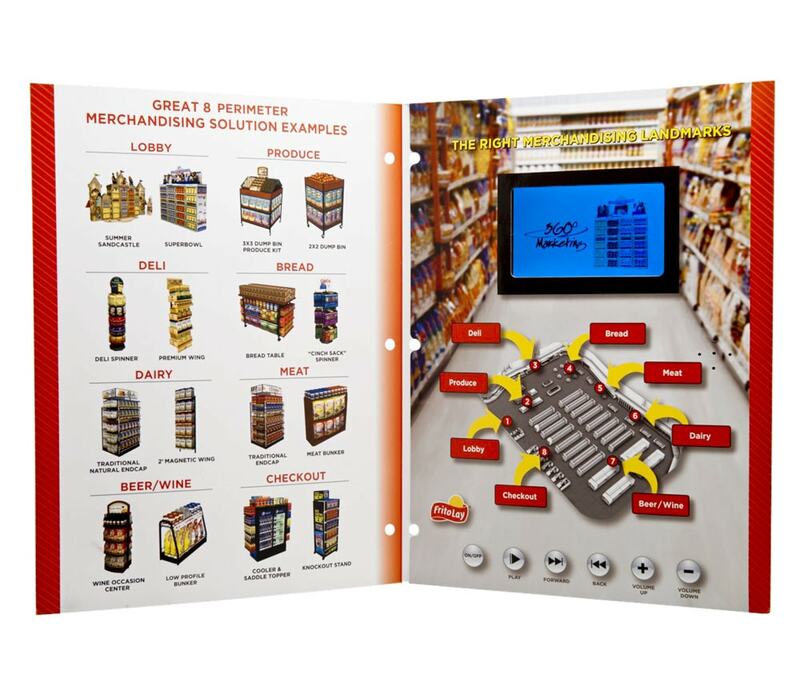 The attractive, full color, printed sales-aid, complete with up to 15 minutes of high quality audio and video content, quickly presents potential problem areas within the store and identifies the types of innovative solutions the target audience is looking for. Our advanced navigation system allows the reader to access numerous files and then fast forward or rewind while watching the videos or jump forward or back among all the video clips. Each clip highlights a different department or solution. The Video in Print brochure continues to be a hit with reps and a ‘win’ for the company. A tool to provide an on the spot virtual tour of solutions gave reps an advantage and Frito Lay the increased exposure it was looking for.